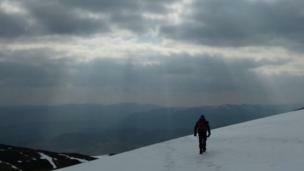 A selection of your pictures of Scotland sent in between 27 March and 3 April. 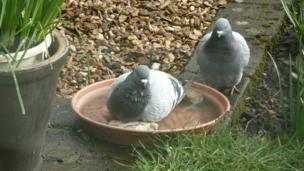 Margo Stevens spotted these pigeons enjoying a bath in her garden in Kirkintilloch. 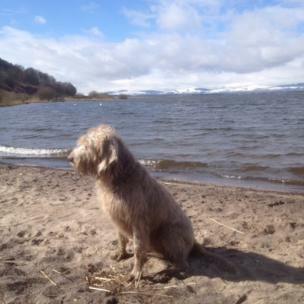 Gerard McGuire took this picture of his dog Maisie during a walk around Loch Leven. 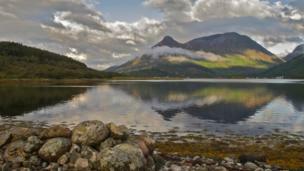 Allan Dodds also enjoyed the scenery at Loch Leven. 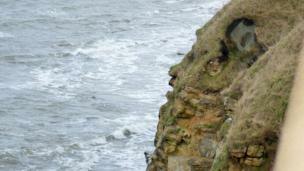 John Cranston captured this 'rock face' overlooking St Andrews Bay. 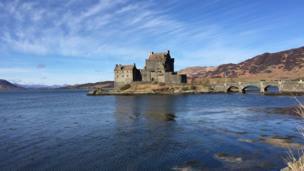 Neil King, from Edinburgh, enjoyed a three day trip to the Isle of Skye and pictured Eilean Donan castle. 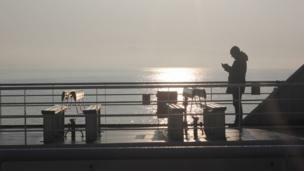 Kath Manners took out her camera and captured this moment as she set off through the early morning mist on the ferry from St Margaret’s Hope heading across the Pentland Firth to the Scottish mainland. 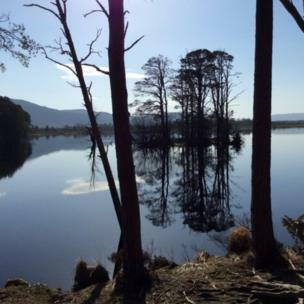 Loch Mallachie, in the Cairngorms, taken by Loreen Smith while on holiday there. 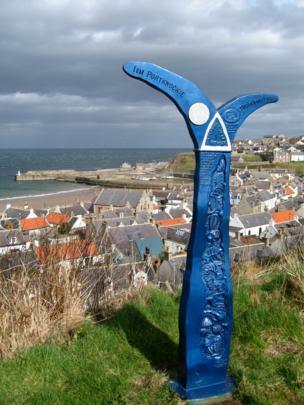 Cullen, in Moray, pictured from the old railway coastal path. 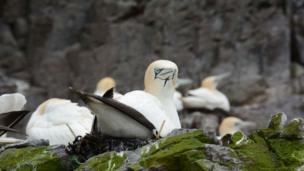 Craig Coventry took this picture of a gannet on Bass Rock. 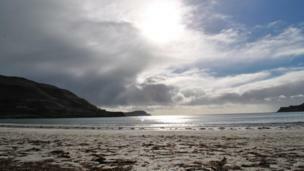 Colette Thomson, from Dunfermline, took this picture of Calgary Bay, Isle of Mull, during her first visit to the island. She said it won't be her last. Gary Lowes, from Balquhidder, took this picture of a wet and windy Ardnamurchan peninsula. 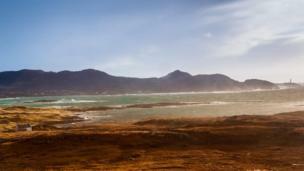 The image shows Sanna Bay getting battered by strong winds while the Ardnamurchan lighthouse (far right) stands firm. 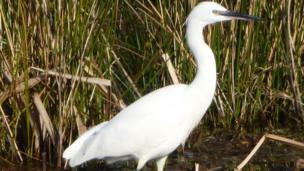 Bill Cluckie took this picture of a little egret looking for a tasty morsel in the wetlands at Wigtown harbour in Dumfries and Galloway. 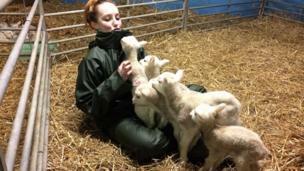 Felicity Ramsay enjoys the company of these lambs on Drumcarro farm outside St Andrews. 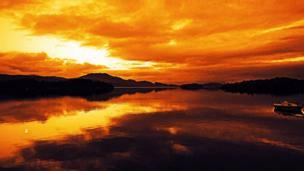 Elton Wright from Dundee pictured the sun setting over the south of Loch Lomond. 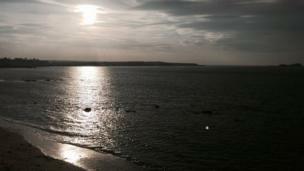 Thomas Duffy from Edinburgh was on hand at Gullane Beach just before sunset. 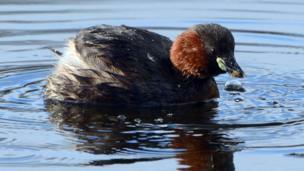 Little grebe at Morton Lochs in Fife. 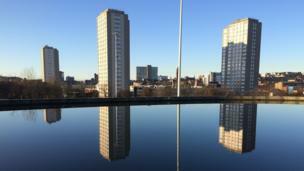 Speirs Wharf, overlooking Cowcaddens, in Glasgow. 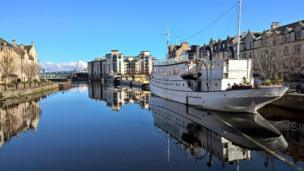 Kim Kjaerside's beautiful picture is at the the Shore in Leith, Edinburgh. 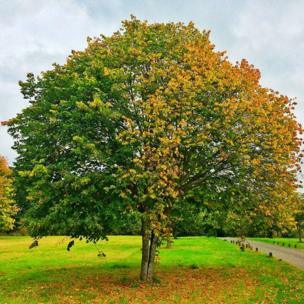 Tom Brown, from Hamilton, took this striking image of a tree in the grounds of Bothwell Castle. 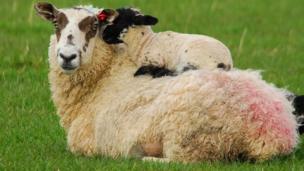 George Trudt caught a moment of 'motherly love' near Lockerbie. 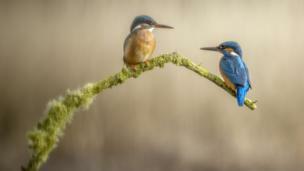 Alan Irving took this beautiful picture of a pair of kingfishers in Kirkcudbright. 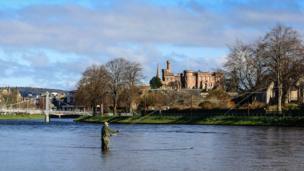 Alistair Williams pictured this fisherman at work in Inverness. 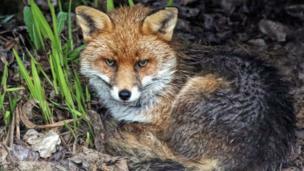 This fox was sheltering from the rain in the back garden of David Alexander Elder in East Kilbride.